Milestone Alert: Our Baby's First Tooth! 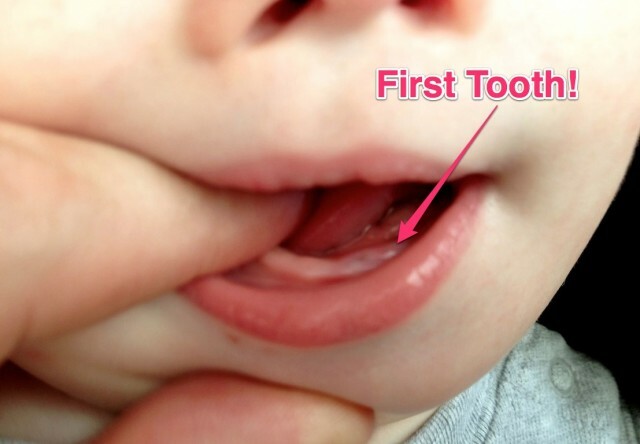 You are here: Home / Resources / Milestone Alert: Our Baby’s First Tooth! As I mentioned the other day when Noah sat up by himself for the first time, baby milestones seem to happen when you least expect it. Hello Mr. First Tooth, nice to meet you. Like today for instance. There I am just playing and laughing with my son like I usually do when I see him do his usual super-cute-mouth-wide-open-baby-laugh. Only this time when he smiled, and his little 10 month old mouth opened as wide (and as adorable) as it usually does, I saw a teeny tiny little baby tooth making its way through his gum line. In other words, I saw his first tooth….! 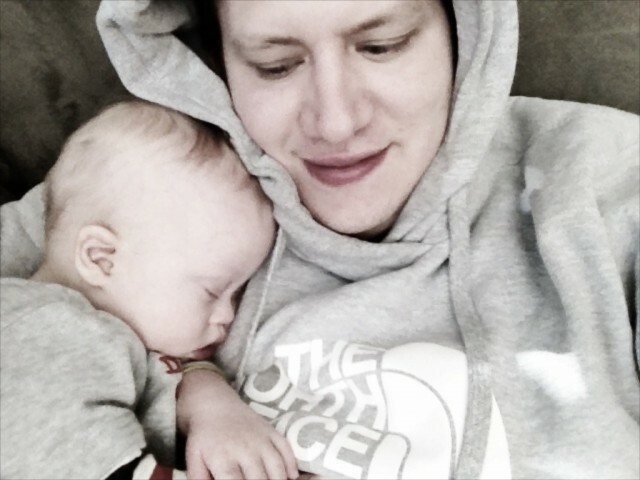 This little boy makes me smile. A lot. It`s so cute!Congratulations precious Noah! Oh dear Lord……..Little Man got his first two teeth around 3 months (yes, two at the same time). He had his second two teeth a couple weeks later. He gets his teeth in pairs. At 17 months, he has almost all of his teeth that he’s “supposed” to have by 2 years (a couple are poked through but not all the way in yet). Now he’s learning how to use them. Whoo hoo, Noah! Soon you will be chowing down on brisket and ribs 🙂 Ellie got her first tooth on her first birthday. By two-years old, she had all of her baby teeth. Let the biting begin. I am sorry for your wife if she is still breastfeeding your little guy. Some learn not to bite mama, others not so well. Haha. Tell me about it. My wife and I have both been bitten many times since I snapped that picture. Enzo has not gotten his first tooth yet…but I think it’s coming soon. He’s drooling more than ever and I heard that is one of the first signs. This is so exciting. I can’t believe it’s been almost a year for us! MY twin boys are 11 months old…One of them got his first tooth at 9 months and my other son who has DS got his 2 teeth together (The bottom 2, in the right order:-)) at 11 months ! Little pearly whites! Colton got his first teeth, his 2 bottom front, on his first birthday! He is now working on 2 molars before any others and taking it like a trooper. His big brother got his first tooth at 4 months. Evan (5months) will hold his hand out and when I put my finger in his hand it goes to his left back…. and this kid can bite! We’re still in cooks so they give him Tylenol but won’t give orajel till it starts breaking through. We’ve tried a few teething toys but they are all too big for his cute lil mouth!